THE THROTTLE BODY WILL FIT OTHER MODELS. 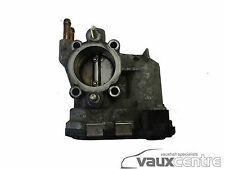 Vauxhall Part Number: 9157512. Vauxhall Agila A Corsa C 1.0 1.2 Petrol Throttle Body. Agila A Mk I ( Hatchback 2000-2008 ) - Fits Engine Codes Z10XE and Z12XE Only. Corsa C Mk II ( Hatchback 2001-2006 ) - Fits Engine Codes Z10XE or Z12XE Only. Porsche part number: 99760511601. For sale is a Porsche throttle body 82 mm. REMOVED FROM 18 PLATE SPRINTER WITH 49K MILES. ONE MONTH WARRANTY! GENUINE MASERATI GRANCABRIO 4.7 V8 PETROL THROTTLE BODY. MAY BE FITTED TO MASERATI GRANCABRIO 4.7 V8 MODEL YEARS. 2010 2011 2012 2013 2014 2015 2014 2017 2018. 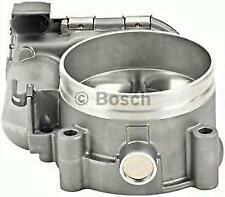 THROTTLE BODY - PART NUMBER: A6510900470 /0280750573. MANIFOLD & PIPE : A6510900728/ A6510903442. DISPATCH ! ALL OF OUR EXTERIOR BODY PANELS (DOORS,MIRRORS,BONNET,WINGS,TAILGATE / BOOT LIDS ETC),ARE IN A USED CONDITION AND NEED PREP AND PAINT BEFORE USE,HOWEVER THEY CAN BE USED AS THEY ARE. REMOVED FROM 58 PLATE W211 FACE-LIFT. VW GOLF MK4 2.0 2L GTI Throttle Body 06A 133 062 D 06A133062D. Part number 0280750045. Throttle Body. Removed from: Range Rover Vogue 3.6 TDV8 2007. Item: Throttle body. Part number: 6H4Q-9E926-BA. ITEM MUST NOT HAVE BEEN USED. CASH ON COLLECTION. BOSCH PART NUMBER:- A1110980109. Whilst every effort is made to ensure that parts are despatched in good working order, problems and faults do occasionally occur. In this instance we will endeavour to replace a faulty part. REMOVED FROM C180 PETROL 2003. (THROTTLE BODY. We cannot be held responsible if the item does not fit your vehicle. BODY TYPE:NOT APPLICABLE HIGH ROOF PANEL VAN. AXLE STYLE:RWD. 2) Fault or failure of an ancillary component, for example a radiator, timing belt, water pump, fuel injection system, turbo, coolant, gasket, hoses, etc. HONDA JAZZ GENUINE BOSCH THROTTLE BODIE FULLY TESTED. GREAT CONDITION. REMOVED FROM JAZZ 57 PLATE PETROL. GENUINE PARTS. (ABARTH 500 312. AXT1A 1.4 Throttle Body 2008 on Bosch 77363462. FIAT 77363462. LANCIA 77363462. ABARTH 500 / 595 / 695 (312_) 1.4 (312. AXT1A) Hatchback Petrol 06/2015 on FWD 16 189 139. AXT1A) Hatchback Petrol 08/2008 on FWD 16 190 140. IF PARTS COMPATIBILITY IS LISTED THEN IT IS ONLY TO BE USED AS A GUIDE. ALL PARTS ARE USED & FULLY TESTED UNLESS OTHERWISE STATED. BEARING IN MIND THE AGE OF THE VEHICLE. IF THERE ARE PART NUMBERS IN THE ADVERT, THEY'RE THERE FOR A REASON. PART NUMBERS: 0280750164. 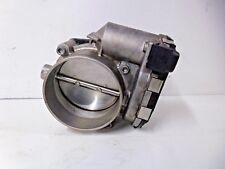 PEUGEOT / CITROEN 1.6 16V THROTTLE BODY. 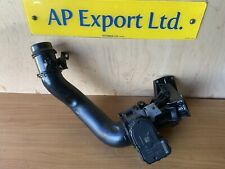 (VAUXHALL VIVARO 2011 2.0 DIESEL THROTTLE BODY. We cannot be held responsible if the item does not fit your vehicle. 2) Fault or failure of an ancillary component, for example a radiator, timing belt, water pump, fuel injection system, turbo, coolant, gasket, hoses, etc. ANY FAULTY ITEM WILL NEED TO BE REPORTED TO US AS SOON AS POSSIBLE. FIND US ON GOOGLE BY SEARCHING ‘KTS AUTOS’ FOR MORE INFORMATION. We have other parts available for this car. Peugeot 307 308 206cc Citroen C2 C3 C4 1.6 NFU THROTTLE BODY Fly By Wire Type Condition is shown on the high quality photos .All used parts has been tested and is functional can have marks wear and tear.I recommend installation in specialist garage.I not take responsibility for any damage in installation.Returns is not accepted.If you have any questions please feel free to contact. Buying this item you accepted this terms and condition. Compatibility: Range Rover Sport L320 2003-2009. All our used parts are fully inspected tested and cleaned prior to dispatch, and carry a minimum of 3 months warranty. Genuine used part. Part has been cleaned, inspected and tested. 107 / C1 & AYGO 2005 -2013 / YARIS 2005-2010. We're a professional, family run Vehicle Dismantlers located near Bridport in West Dorset. IF PARTS COMPATIBILITY IS LISTED THEN IT IS ONLY TO BE USED AS A GUIDE, FOR ACTUAL COMPATIBILITY THEN PART NUMBER OR DETAILS MUST BE CHECKED. Mercedes Sprinter 313 CDI Throttle Body, Genuine Mercedes, A 651 090 04 70. REMOVED FROM MERCEDES CLK W209 C200 KOMPRESSOR YEAR 2005. GOOD WORKING CONDITION MAKE : BOSCH PART NUMBER : 0280750045 / A1110980109 (PLEASE MAKE SURE THE PART NUMBER MATCHES THE ONE YOU NEED) DUE TO PREVIOUS USE THE ITEM MAY HAVE SOME MARKS, SCRATCHES. PLEASE SEE THE PICTURES. If you have any problems with our item please give us a chance to resolve it. Contact us first please. Thank you!. MERCEDES SLK R170, THROTTLE BODY, A1111410125. Condition is Used. Dispatched with Royal Mail 2nd Class. From a 2010 e220 cdi. Vauxhall / Citroen / Saab / Peugeot / Volvo / Alfa - Throttle Position Sensor. This part was removed from a 2000 model, its part number is:0 280 122 001. Wing Mirror. Helpful information:- We believe that this throttle position sensor will fitVauxhall ,Citroen ,Saab ,Peugeot ,Volvo, Alfa models. VAUXHALL CORSA C 1.0 12V PETROL 2003 THROTTLE BODY OF GOOD RUNNING ENGINE WHICH IS 6 WIRE PLUG AND HAS PART NUMBERS 0280750044 AND ENGINE CODE Z10XE. We are located at Autoline Motors Ltd, Froghall Stoke on Trent. Clutch Kits. Mirror Heads, Housing & Motors. Belt Tensioner Wheels & Bkts. Suspension Ball Joints. Throttle body. Rear Lights. The compatibility is only a guide. A UK Reg or VIN number MUST BE SUPPLIED as in many cases there is a "choice" depending on chassis numbers. Pa rt number 0280750044. engine number Z10XE. Removed from Vauxhall Corsa 1.0 from 2004. Throttle Body. (FORD FIESTA 2010 1.4 PETROL THROTTLE BODY. We cannot be held responsible if the item does not fit your vehicle. IRELAND AND CHANNEL. 2) Fault or failure of an ancillary component, for example a radiator, timing belt, water pump, fuel injection system, turbo, coolant, gasket, hoses, etc. (HYUNDAI I30 2013 1.4 PETROL R71Z ENGINE. We cannot be held responsible if the item does not fit your vehicle. THROTTLE BODY. 2) Fault or failure of an ancillary component, for example a radiator, timing belt, water pump, fuel injection system, turbo, coolant, gasket, hoses, etc. Lambda Sensors. Heater Motors. Fan Couplings & Magnets. Belt Tensioner Wheels & Bkts. Brake Master Cylinders. Suspension Ball Joints. Rear Lights. Front Exhausts Cats. 2002 Fiat Punto MK.2 ( 1999-2005 ) Dynamic speed gear. 1.2, 8 Valve. good condition , tested with no fault codes.